Fielding and Platt was founded in October 1866 by Samuel Fielding (1824–1874) and James Platt (1834–1897). Both men came from an engineering background. Fielding was already established as a manufacturer of machinery and fixtures at his Atlas Works at the Gloucester Docks. Platt brought his first-class engineering skills and half the money necessary to fund their venture. 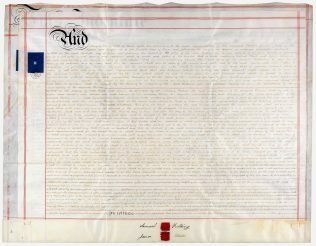 The Deed of Co-Partnership (pictured), preserved at Gloucestershire Archives, reveals details about company’s origin. 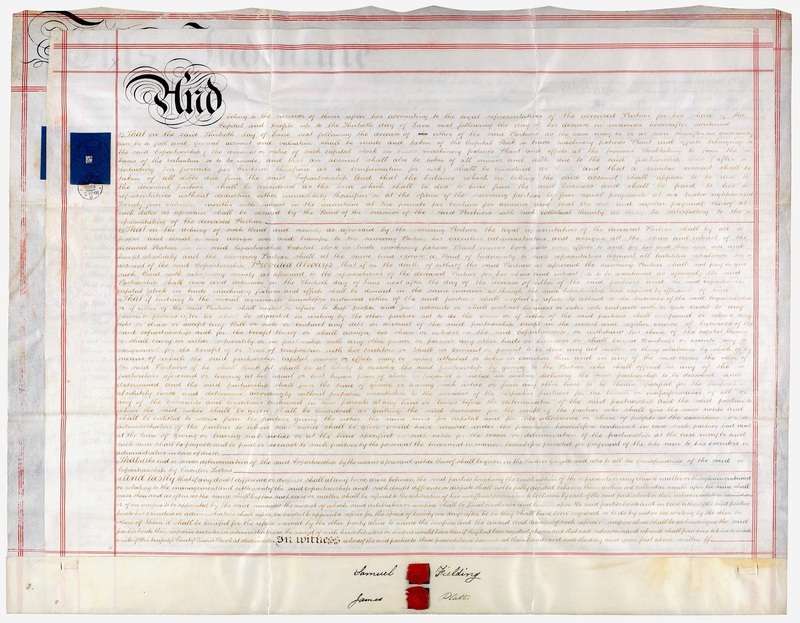 It shows that the initial capital of the company was £1,200 (about £53,000 today). Fielding contributed his share largely in the “machinery, fixtures, plant, and effects” at his premises situated in the “South Hamlet” of the city (the area we would now recognise as the Gloucester Quays Outlet), whereas Platt’s share was £600 cash. That’s worth about £26,500 today! The company received its first order on 12 October 1866 from a John Connell of Cheltenham who wanted 70 feet of shafting (metal rods). Fielding and Platt’s reputation soon grew. The company’s early contracts show how versatile an engineering firm was expected to be in mid-Victorian England. For example, in 1874 the company built a small steam boat for the local dock company which it used for voyages between Gloucester and the then flourishing port of Sharpness, further down the Severn. This steam boat was the S. S. Sabrina. She was one of the historic vessels which were part of the Diamond Jubilee River Pageant on 3 June 2012.